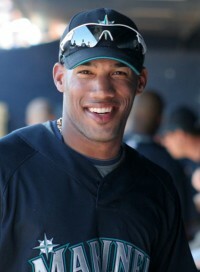 Shocking news out of the Netherlands today, where Seattle Mariners prospect Greg Halman was found stabbed to death in his home. Halman’s brother has been arrested and is a suspect in the case. Halman never hit for a high average, but he could send the ball flying like few in the minor leagues. He showed promise to do the same even at spacious Safeco Field. Even seeing a guy play from the window of a press box, it changes how the news hits you. Makes it real. And tragic. My thoughts and prayers are with Halman’s family. NÃ¤r det gÃ¤ller fÃltiamlsngssror¶eken tror jag sammanslagningarna till namnet har nÃ¥tt vÃ¤gs Ã¤nde, eftersom det nya blir jÃ¤ttepastorat – som i praktiken kommer motsvara dagens fÃ¶rsamlingar, nÃ¤r det gÃ¤ller krav pÃ¥ gudstjÃ¤nstfirande, kyrkoherde och kyrkorÃ¥d. Du har sÃ¤kert rÃ¤tt i din dystopi nÃ¤r det gÃ¤ller gudstjÃ¤nstfirandet men kanppast nÃ¤r det gÃ¤ller storleken pÃ¥ en sk fÃ¶rsamling.